Canadian mushroom growers produced 132,556 short tons of mushrooms in 2017, up 1.3% from 2016. Most of the production (94.1%) was sold to the fresh market. Canadian domestic exports of fresh or chilled Agaricus mushrooms increased 2.8% in 2017 compared with the previous year. 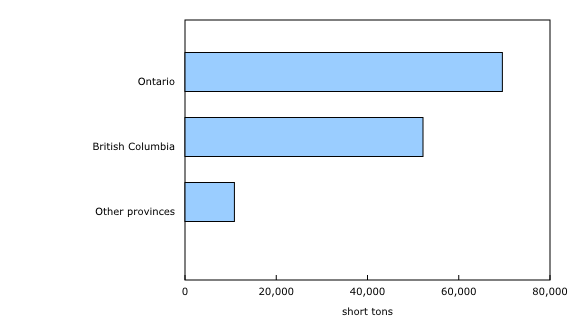 Ontario accounted for the largest share of production (52.5%), followed by British Columbia (39.4%). The total value of Canadian mushrooms rose 4.1% from 2016 to $527.6 million, mainly attributable to higher prices. The price of mushrooms rose 2.8% in 2017 to $3,980 per ton.